Jenna is an associate attorney practicing in the firm’s Estate Planning, Probate and Trust Section. She joined the firm in 2018. Jenna is licensed to practice in Texas. A significant portion of Jenna’s practice is devoted to the preparation of wills and the creation and modification of trusts. Jenna assists her clients in creating, implementing, and modifying estate plans that accomplish clients’ key objectives and goals regarding the disposition of estates and assets or to address changes in family or financial situations. She prepares specialized estate plans designed to reduce or avoid estate, gift, and generation-skipping transfer taxes. Jenna spends a significant amount of time advising clients with making decisions related to their care and the management of their property in preparation for any period of incapacity. She advises clients about Directives to Physicians (Living Wills), Medical Powers of Attorney, Statutory Durable Powers of Attorney, and Living Trusts. In addition, she advises clients about the option of pre-need guardian designations. Jenna also dedicates a significant part of her practice to advising fiduciaries and estate beneficiaries in matters relating to the probate of estates of decedents. She advises surviving spouses of decedents regarding their statutory rights and advises fiduciaries, such as executors, administrators, and trustees, regarding the disposition of decedents' estates in both contested and uncontested matters. 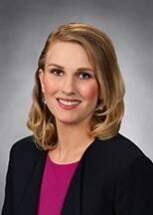 In addition to original probate proceedings in Texas, Jenna also handles ancillary probates of non-resident decedents who owned property in Texas. Jenna's practice also involves advising clients concerning lawful asset protection techniques, including the establishment of family limited partnerships, separate property trusts and the preparation of pre-marital and marital property agreements.